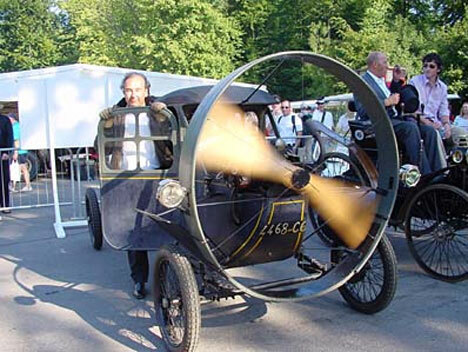 Before most people had begun riding in cars regularly, one brilliant French inventor was not only tooling around in his hand-built airplane but designing what he assumed would be the next big thing in automobile design. The Leyat Helica, designed by Mercel Leyat, had a number of features that set it apart from the first generation of cars…and which are still setting it apart from modern cars today. The Helica was developed in 1913. After completing construction on the first prototype, Leyat conducted extensive testing on the vehicle to refine its features and ensure that it was safe. By 1919, the car was ready for production. 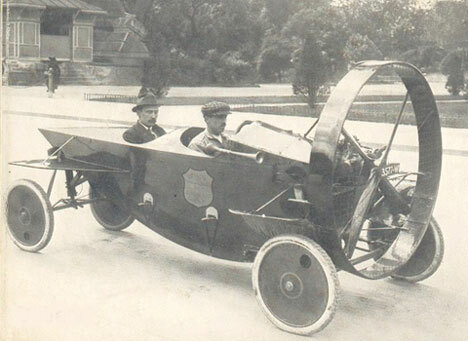 But a car that looks like a cross between a child’s toy and a wingless single-person airplane was too bizarre even for the early days of automobiles. 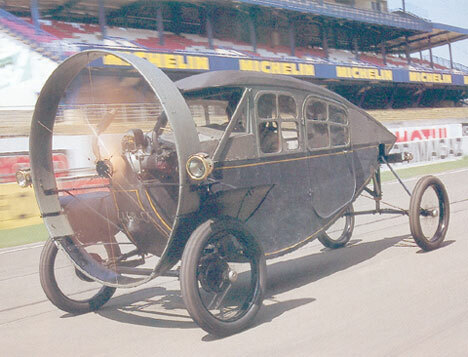 Buyers at the 1921 Paris Auto Show were impressed by the car’s aerodynamic design, spoke-less disc wheels and, of course, the giant propeller protruding from its nose. Weighing only 625 pounds, the propeller-assisted Helica was exceptionally lightweight and looked like something out of a science fiction novel. Even though Leyat received an impressive 600 orders from the Paris Auto Show, he was never able to secure funding for the project. A disappointing 25 cars were built and only a few still exist today. See more in Concept Vehicles or under Transportation. December, 2010.